When you need to carry more than four rods and reels, the Vac Rac Pro is what you need. With two a side by side T Bar design, the Vac Rac Pro carries twice as many rods and reels as the regular Vac Rac Rod Racks. 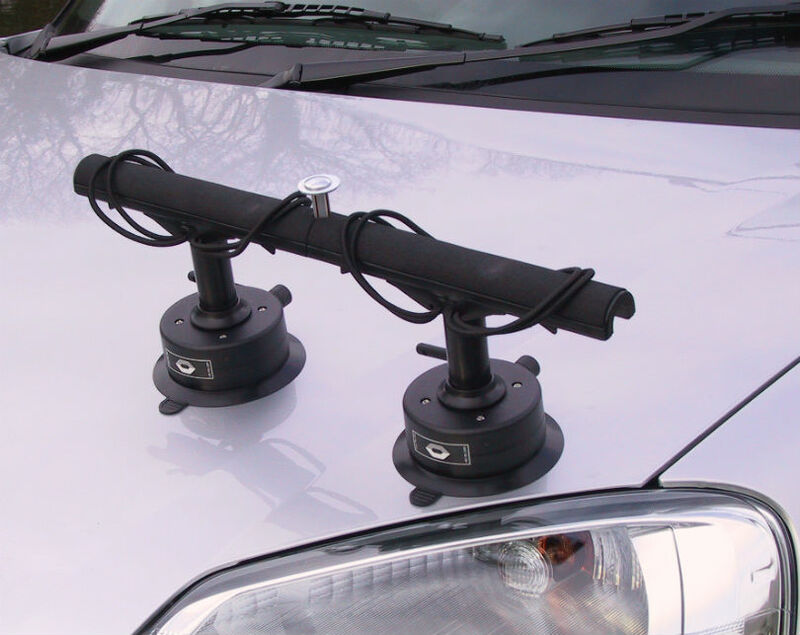 With two suction cups, you've got double the holding force against any hood and roof surface.